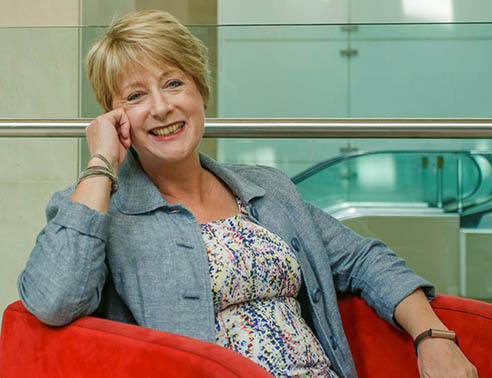 This week the spotlight is on Rose Luckin, a Professor at the UCL Knowledge Lab, and Director of research incubator EDUCATE. In October, she launched the Institute for Ethical Artificial Intelligence in Education at Speaker’s House in Westminster along with IEAIED's co-founders. What is your role and what does it involve? I am a professor at the UCL Knowledge Lab, which is part of the Institute of Education. I spend 50% of my time doing research and teaching about artificial intelligence and education, and the other 50% of my time as Director of the EDUCATE program. EDUCATE is a research incubator for educational technology start-ups and SMEs, who we connect to educators and researchers to help them understand how better to improve and demonstrate the efficacy of their product or service. Over the last 18 months we have worked with 160 companies and this represents about 16% of the Edtech start-ups and SMEs in the UK. I am also specialist adviser to the education select committee for their current inquiry into the Fourth Industrial Revolution. How long have you been at UCL and what was your previous role? I joined UCL through the Institute of Education where I started working in January 2006. I was appointed as Professor of Learner Centred Design, and started working on the EDUCATE program at the beginning of 2016. Before I joined UCL, I was Pro Vice Chancellor of teaching and learning at the University of Sussex. What working achievement or initiative are you most proud of? I am most proud of the EDUCATE program, because, for several years before gaining the funding we needed, I had wanted to find a way to connect educators who use educational technology with the developers who make educational technologies and researchers who understand what works when teaching and learning with educational technology. We have appointed an amazing team of staff to work on EDUCATE and this makes working on it a great pleasure. Tell us about a project you are working on now which is top of your to-do list? I launched the Institute for Ethical Artificial Intelligence in Education at Speaker’s House in Westminster in October this year, along with my co-founders Sir Anthony Seldon and social entrepreneur Priya Lakhani. Developing artificial intelligence to use in education and training has the potential to help us to tackle big educational challenges, such as the achievement gaps between the less privileged and the more privileged learners, global teacher shortages, as well as to provide high quality education and training to ensure that everyone is prepared to contribute to society. However, there are risks involved in using artificial intelligence for this purpose and it’s extremely important that we develop appropriate legal frameworks, Codes of Practice and effective guidelines to ensure that we do not allow these sophisticated technologies to be used for harm. What is your favourite album, film and novel? Along with many other people, I have eclectic taste and love a great deal of music, many films and novels. I am particularly fond of the film: Crouching Tiger, Hidden Dragon, directed by Ang Lee, because it is extremely beautiful and it features an awesome lead female character. What is your favourite joke (pre-watershed)? What do you call a woman with one leg? Eileen. Who would be your dream dinner guests? Joan Bakewell and Helen Mirren. Slow down, life is short but that doesn’t mean that you have to do everything at breakneck speed, it means you need to take the time to enjoy every moment. What would it surprise people to know about you? I love making chutney and jam. What is your favourite place? My home, especially when my family and my partner are there with me.